On what it felt like being beaten in the movie Lupita says: “It was the fact that this was a true story. That was very sobering for me but I got to be fanned in-between takes while I was picking cotton yet this woman (the real Patsey) did not. 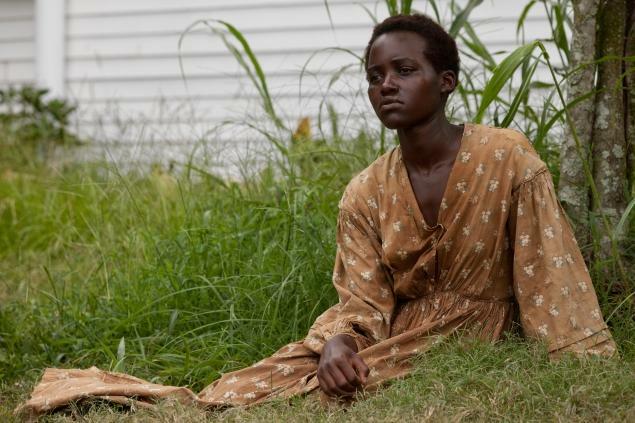 She spent 16-20 hours a day picking cotton, 500 pounds of cotton no less, and so I was just really confronted by how much more she really had to deal with in order for me to have the privilege of doing it for cinema,” Lupita adds. The show also predicted Jared Leto (Dallas Buyer’s Club) to win Best Supporting Actor, Kate Blanchet (Blue Jasmine) to win Best Actress while Matthew McConaughey (Dallas Buyers Club) would win Best Actor. This entry was posted in Film on February 28, 2014 by kampala1ne.